The perfect spa retreat, members can enjoy peace and relaxation with a 25 minute treatment per night, for the ultimate indulgent spa break, come away feeling refreshed and revived, and with no guests permitted under the age of 16 you can be sure of child-free relaxation! 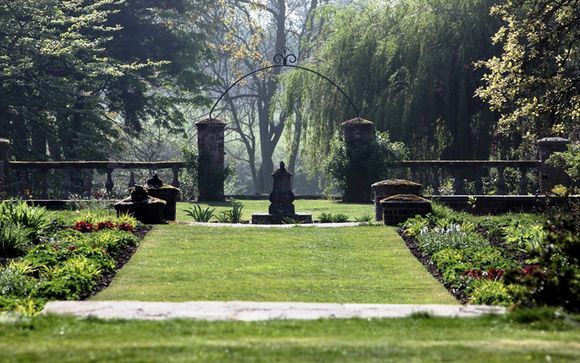 Lifehouse Spa & Hotel is set in 12 acres of English Heritage Gardens just over an hour by train from London. Specialising in the art of wellbeing, this contemporary and award winning spa offers an exclusive spa experience within an unconventional and relaxing environment. Only four miles from England’s East Coast and the sandy beaches of Frinton-on-Sea. 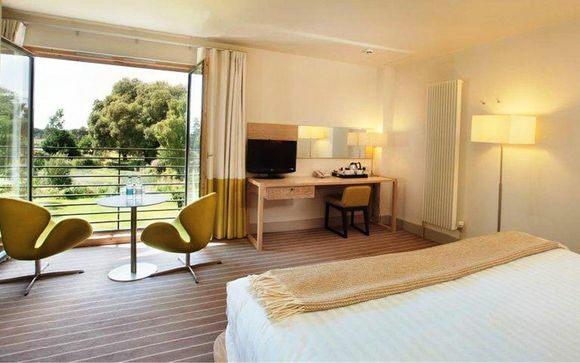 The 4-star Lifehouse Spa and Hotel has 89 guestrooms, all with wonderful views of the gardens or courtyard, 35 treatment rooms, plus gym, outdoor fitness circuit, yoga, Pilates studio, swimming pool, thermal spa area, relaxation areas, OPI Manicure and Pedicure Suite, and a spa boutique. Lifehouse Spa & Hotel opened its doors to guests in December 2010 following a £30 million development of the original spa facilities. The hotel has been recently awarded 5 Bubbles by the Good Spa Guide, SpaFinder Best for affordability and Budget Winner 2015, and in the finals for 2016, plus Finalist for Best for Wellness in the Good Spa Guide Awards 2016. This offer is based on an upgrade to a Garden or Signature Room. (Room type confirmed on arrival). 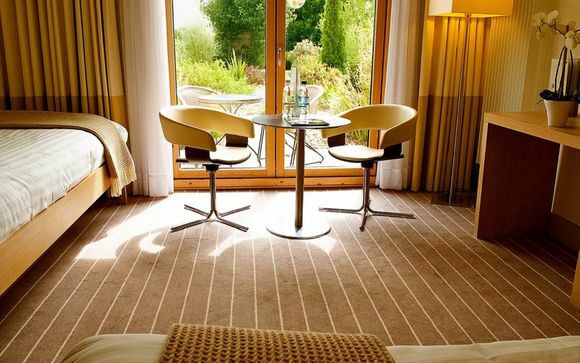 Signature Rooms - Signature Rooms include luxury beds and an ensuite bathroom with shower and luxury toiletries. (Combination shower and bath on request). Facilities include LCD TV, DVD player 9on request), iPod docking station, telephone, hairdryer, complimentary Wi-Fi, upgraded hospitality tray including cereals bars and hot chocolate, personal safe, two comfortable chairs, a small occasional table and our feature desk with large illuminated makeup or workstation area plus storage drawers and clothes hanging space. Each room has full height windows with views out across the gardens or surrounding landscape. The Restaurant at Lifehouse - Dining in the relaxing and beautiful surroundings of the Restaurant at Lifehouse is the perfect way to break up your busy day, or make an evening of it in the tranquil surroundings with beautiful Mediterranean inspired menu, serving healthy and indulgent choices. Gym - A state-of-the-art gym equipped with the high-tech cardio vascular and strength machines and free weights area. Fitness classes are also available to book for a nominal fee. 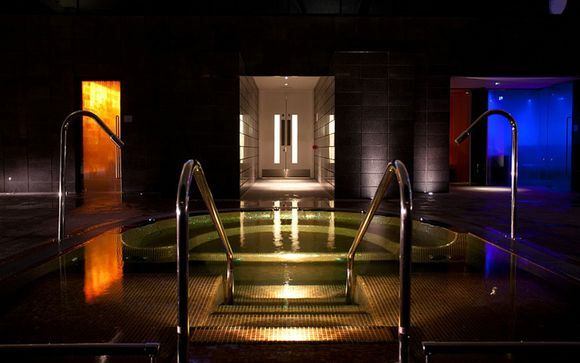 Spa - The following spa facilities are available at Lifehouse -Clarins, Carita and Decleor, Swedish sauna, steam room, salt inhalation room, Tropical showers, Hydrotherapy pool with massage jets and swan neck hoses, plunge pool and 18.5m metre swimming pool. Wellness - The Lifehouse Spa & Hotel was voted Spafinder's 2014 Favourite UK Wellness Travel Property, and is also the first spa in the UK to receive the Cancer Awareness Accreditation. They offer therapeutic programmes for strengthening health and maintaining wellbeing. The hotel offers a simple, fresh and inspiring menu of health and wellness services that responds to guests needs on many levels. Gardens - Strolling through these 12 acres of historically listed gardens you’ll instantly feel the care and dedication that is being put into their restoration. Slip your shoes off and feel the grass between your pampered toes. Take a deep breath of fresh flower-scented air and think of the work and vision that have gone into these surroundings. From London and the M25, take the A12 signed Chelmsford and Colchester, pass the exits to Colchester West and Colchester Central, then join the A120 signposted Harwich and Clacton. From the Midlands and North, follow the A14 (signposted Felixstowe/Harwich) until you are south of Ipswich. Join the A12 signposted London then take the A120 signposted Harwich. From the A120 join the A133 for Clacton, Weeley, Frinton, Walton, St Osyth & Brightlingsea and then take the B1033 signposted to Weeley, Frinton & Walton. Once you reach the village of Thorpe-le-Soken, follow the brown signs for Lifehouse Spa Resort.